Athens lives a fullest life in the nights even in working days. Its nightlife is spent brightly cheerfully and noisy in different city bars. Active and curious travelers join the Athenians in the bars. Do you want to see the night life from inside, see how the locals rest and what they drink? Welcome to Athens’ best bars! Face to face with the Acropolis – this is the bar’s motto. The bar is situated on the roof of the house on the Monastiraki square. In the night and daytime the panoramic view strikes your imagination especially after several cocktails. Good cocktail card, discreet service and fantastic night view of the Acropolis hill together with illuminated temple of the goddess Athena will make every evening magic. 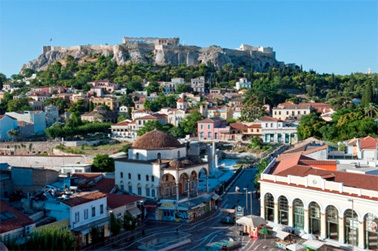 It is the oldest bar in the city situated in the historical center in a picturesque Plaka area. For more than a century this tiny bar remains one of the most popular among Athens’ locals and guests. The interior is very special. It includes a wall made of numerous illuminated liquor bottles and huge wooden barrels with Greece vodka. Brettos bar has a great cocktail list with more than 150 cocktails. We advise to try rakomelo – a national hot drink which contains vodka with honey and cinnamon. Want to party in a luxury atmosphere? For more than 50 years the gilded youth and beau monde of Athens come to Galaxy bar at Hilton Hotel and drink sophisticated cocktails here, looking at the Acropolis’ lights. In 2015 this bar was included into World’s Best Bars list by Premier Traveller. Get dazzled by the rich choice of all kinds of whiskey! Here one can find whiskey from Canada, Ireland, Scotland, and the USA. More of this, there is even whiskey from Japan and India. There are more than 1000 samples here. Listen to the jazz music while the barman is serving you the greatest whiskey in Athens. Named best hotel bar in the world, Alexander’s is situated at Sintagma Square inside the most expensive hotel in Athens. The bar was named in honor of famous ancient general Alexander the Great. There is a handmade tapestry dated with 18th century which shows the scene of Alexander entering Gaugamela. Historic bar with a luxurious interior involves small talk, the observance of the rules of etiquette and strict dress code. One of the youngest bars in Athens but very successful: it was acknowledged as the best capital’s bar in 2016 by Bar Awards contest. 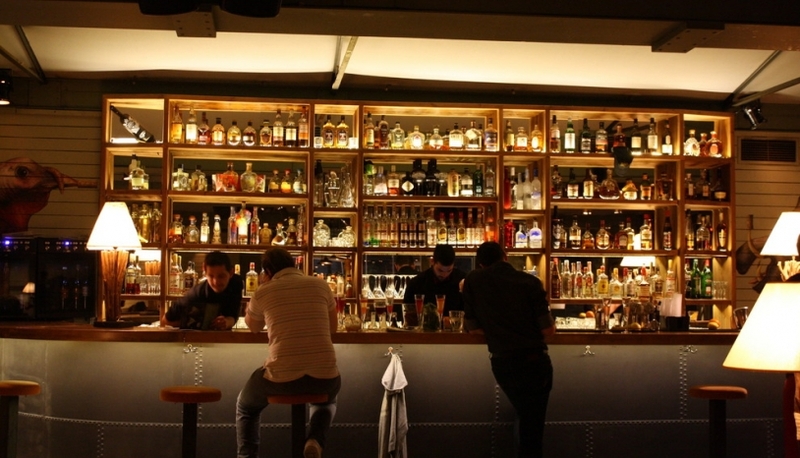 Last year it was included to World’s 50 Best Bars list. The secret of its popularity is the stylish interior, nice talks and good drinks.